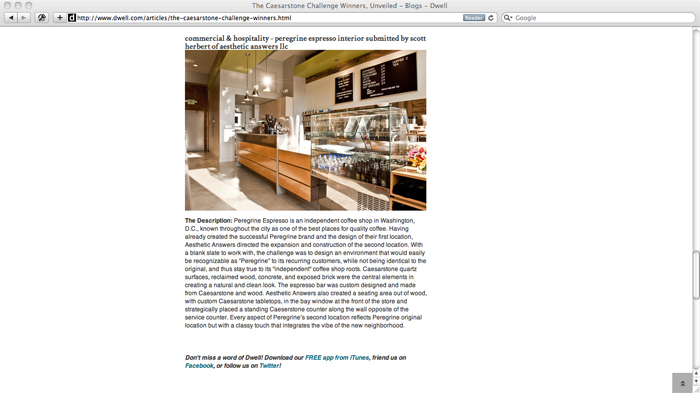 In 2012, we were honored to have our work at Peregrine Espresso on 14th in the Caesarstone Challenge in the ‘Commercial and Hospitality’ category. 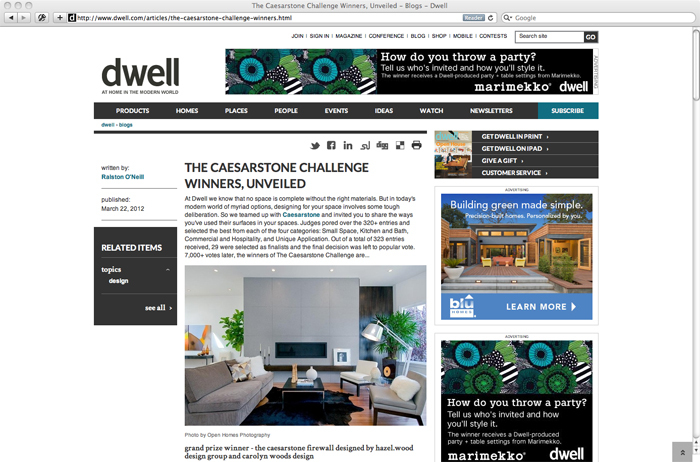 Judges selected our work for the finals from over 300 entries; the winners were selected by popular vote. By combining Caesarstone quartz surfaces, reclaimed wood, concrete and exposed brick, we were able to give the new shop a clean look that reflects the original Peregrine location while connecting with the vibe of its new neighborhood.